*Beyonce looks to have smoothed things out with her pappy. 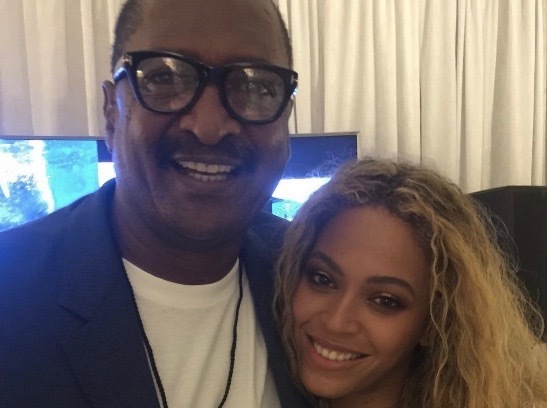 The singer’s mother, Tina Knowles Lawson, posted a photo of her daughter and ex-husband at a May 7th concert stop in their Houston hometown. The pair reportedly fell out after Bey fired him as her manager in 2011. Also, Mr. Knowles had a baby with another woman, which led to his divorce and inspired some of the lyrics on Bey’s new album “Lemonade.” Mathew made a cameo with his granddaughter Blue Ivy in the “Lemonade” video.